The success of the Integration of Faith, Learning and Work initiative at Grand Canyon University has been the result of strong faculty participation, so much so that they now have a key role in running it. 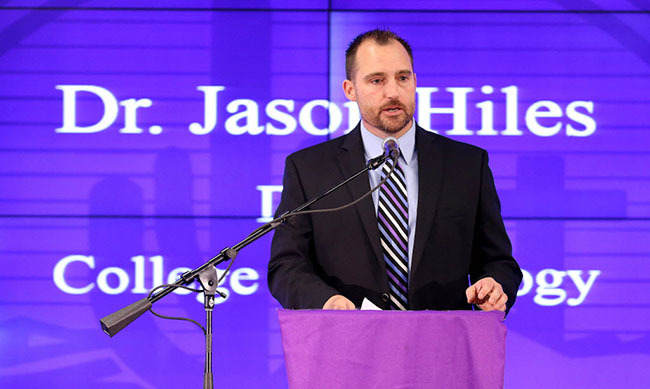 Dr. Jason Hiles, dean of the College of Theology, decided earlier this year to form a task force to help plan and operate the program, which includes six “Lunch and Learns” for faculty during the school year. Beginning in March, the task force — which includes a representative from each college — met regularly to plan the 2016-17 overall theme and individual topics, conduct and evaluate a faculty survey, and get more individual feedback from peers. “Anything related to integration of faith in this whole process, if he communicates at the meeting, then we would be collaborating at the college level with our dean and our fellow faculty and seeing that it is being implemented,” said one of the eight task force members, Dr. Daisy Savarirajan of the College of Science, Engineering and Technology. Some of the results of the group’s meetings: This year’s theme is “Things That Really Matter,” and each session — starting with the first one at 11:15 a.m. Friday in Howerton Hall — will feature two presenters from two different colleges rather than one and a separate discussion led by panelists, which on Friday will include students as well as faculty. Hiles wraps up each session with a talk on a related topic. The complete schedule of topics and presenters is listed below, and lunch is provided. One of the first things the task force did last spring was design and conduct an IFLW workshop/retreat before faculty members left for the break. “We had this whole day where it was our faculty who led the songs, prayer and meditation from the Bible,” Savarirajan said. “We were the ones who did our own getting into the Bible, seeing how we find relevant passages that apply to our teaching of the sciences. 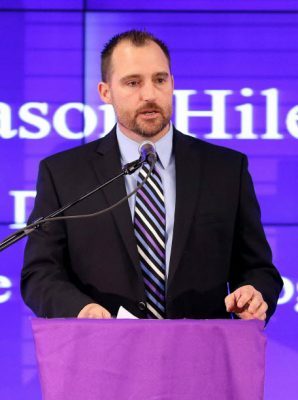 Hiles also met with the task force to examine GCU’s doctrinal statement and explore how the history of Christianity fit with what the University is trying to accomplish. Then there was the survey. 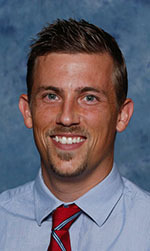 Another member of the task force, Joshua Danaher of the College of Humanities and Social Sciences, said it demonstrated why the group is important. In addition to the written survey, task force members also met one-on-one with other faculty in their college. Toward the end of the summer break, Savarirajan met with a group of scientists who are committed Christians. “Everything that I learned, I’m going to impart it to my classes,” she said. That’s the main reason for the IFLW, of course. And that’s the whole point of this year’s sessions. “Let’s try to determine what really matters, what we’re doing together and how we can get it to our students,” Hiles said. Description: The first lunch and learn offering of the fall will set the stage for the entire academic year. This session interacts with Jesus’ teaching that we should not live “by bread alone” and explores the things that really matter to God. Description: Education represents a perennial “hot button” topic because it is an important means of impressing key values on the next generation and setting the trajectory for our society’s future. This session will discuss the significance of forming students’ hearts and minds from a Christian perspective. Description: Conversations about faith often turn toward beliefs, doctrines and worldview commitments, but a genuinely Biblical faith results in a wonderfully unique style of life. This session will explore some of the practical differences that the Christian worldview makes when one truly follows Jesus. Description: “Love” is an incredibly flexible term used to describe feelings as different as loyalty to a football team (“I love the Cardinals”), enjoyment of food (“I love pizza”) and affection for another (“I love my spouse”). But the Bible insists that Christian love is a particular sort of love rooted in a deep and absolute commitment to the God who lovingly made us in his image. This session will consider how this kind of love has the power to change everything. Description: The modern world often seems confusing, conflicted and perhaps even a little disappointing. Many different things vie for our attention and energy, but, in the end, only a few things really matter. Jesus does not offer a return to simpler days when things were better. Instead, He gently and lovingly offers the hope of a life that is centered on what really matters. Description: Imagine a world in which everyone lived and loved as Jesus did. It would be absolutely incredible to inhabit a world in which people truly loved one another and, indeed, even loved their enemies. Jesus was willing to pay a high price to change the world, and He called others to follow him in this way of life. The final Lunch and Learn of the year takes a close look at what it takes to follow Jesus as he leads us to take hold of the purpose God has for each of our lives.